Not interested in a traditional baby shower? Why not try a “sip and see” shower. Guests can meet the new baby and celebrate with mommy and daddy in a more relaxed setting. You can do a cocktail party or keep it sweet with a tea party menu. 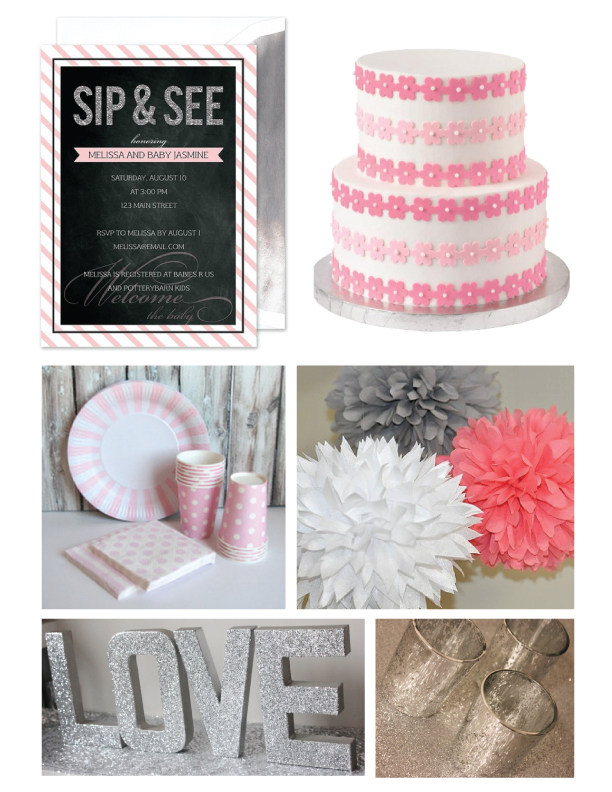 This sweet invitation combines soft pink stripes and sassy glitter, great inspiration for your shin dig!